The ETran integrated receivables solution streamlines accounts receivables processes on a single platform, minimizing hardware, setup, maintenance and support costs associated with payment processing. If you’ve been waiting for a single, configurable receivables platform, this is it. 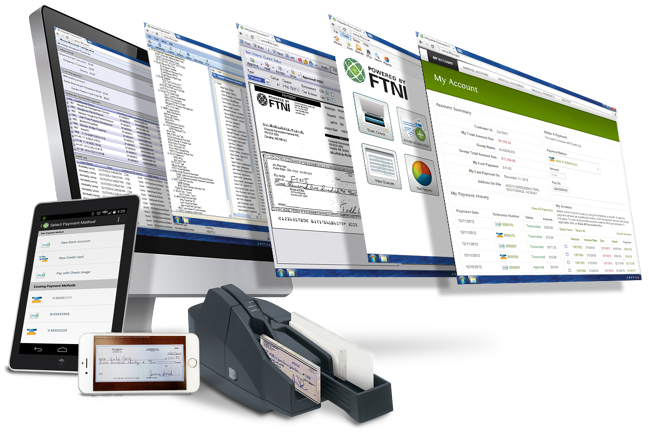 ETran handles remote deposit capture (RDC), credit cards, ACH, and cash payments, and automatically processes and posts them to your bank and corporate AR system. As a Software-as-a-Service (SaaS) offering, ETran is easily and affordably deployed. Software maintenance and updates are automated by cloud computing, for your convenience. And the ETran platform is bank-agnostic, so it’s already compatible with your financial institution. By incorporating all forms of payment processing into one SaaS solution, ETran significantly reduces the need to acquire and maintain multiple payment-processing platforms. As companies grow and change, our “plug ‘n’ play” capabilities allow the system to flex with you, easily integrating new banks, gateways, and back-office accounting and CRM systems. 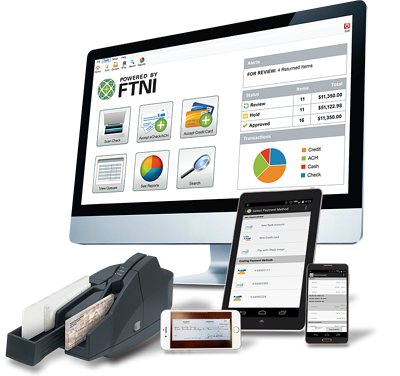 ETran integrates in real-time with popular back-office AR systems, allowing you to clear and post payments in a single pass. It also streamlines the reconciliation process, by combining all payments into simple, inclusive, and comprehensive reports. All payment transactions can be archived with associated customer and invoice data, allowing for quick and easy searching, exporting, and reporting. Through the Queue module, all transactions can be monitored remotely, in real-time. This greatly improves oversight in distributed processing environments. FTNI’s data center is secure – we meet compliance requirements for PCI, SSAE 16, HIPAA and more. Regular penetration testing and annual audits performed by a Qualified Security Assessor help us ensure the security and protection of your customer and payment data. Ready to learn more? Contact us or request a demo of ETran today.